Twice this past week I’ve been drawn to St. Benedict’s, a short drive from my home, to walk and pray the labyrinth there. Both times I found myself completely alone, basking in the quiet and in the use of this simple prayer tool cut into the grass. It’s a little dry now, because of the current heat wave, but still dotted with tiny white clover. There’s one large tree at the edge of the labyrinth and others further back and all of them carry the sound of the wind when it blows. Once it was “help” and “please” all the way into the heart of it, and “thank you” on the way out. The next time it was slowing down to become aware of God’s presence, and the images that kept coming to me concerned Following: a cloud, a fire, a shield, the cross, and Christ. 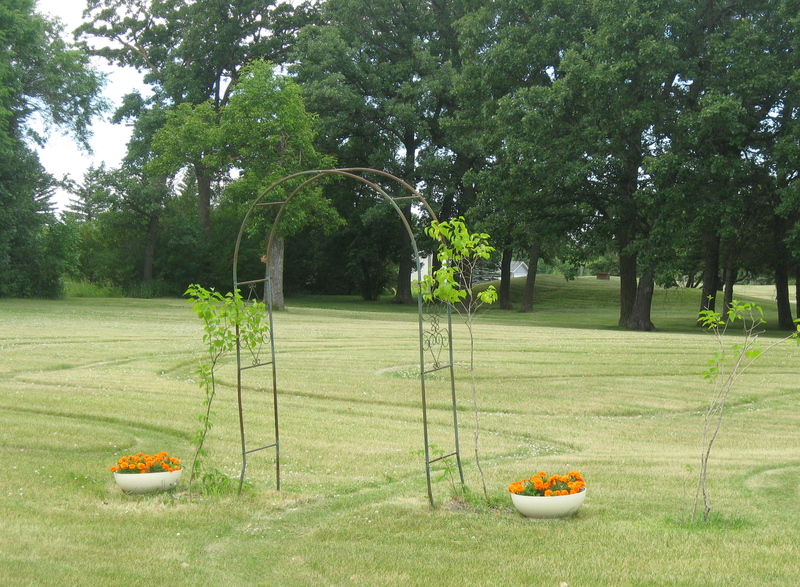 This entry was posted in Prayer and tagged invitation to rest, praying the labyrinth, St. Benedict's by doradueck. Bookmark the permalink.